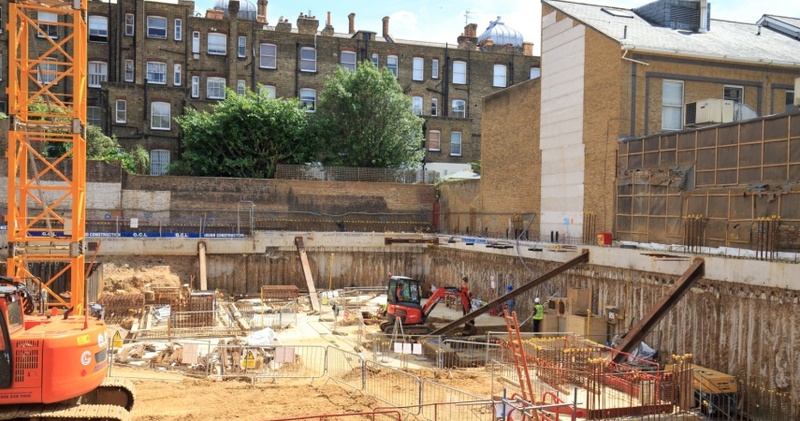 DAWSON-WAM was contracted by Ellmer Construction to form new secant walls and load bearing piles following the demolition of a former multi storey car park. 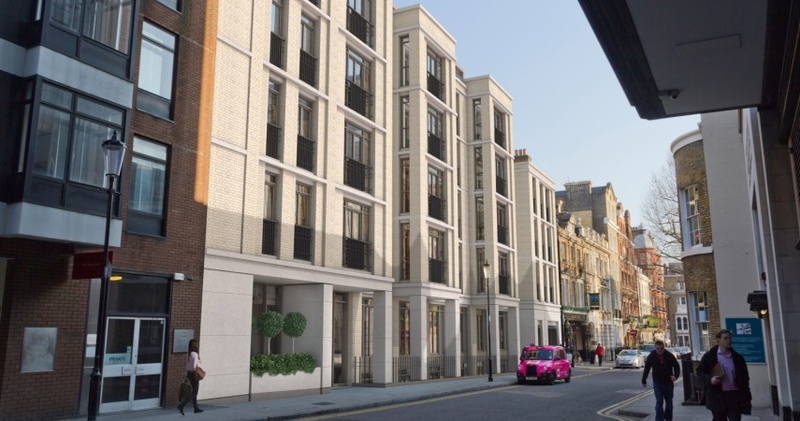 The redevelopment will transform the site into new, high quality homes in the prestigious Kensington area of London. The proposed single storey basement covered the full extent of the site footprint, approximately 40m by 35m. The site was bounded on 3 sides by adjacent buildings on the remaining side by a busy road. 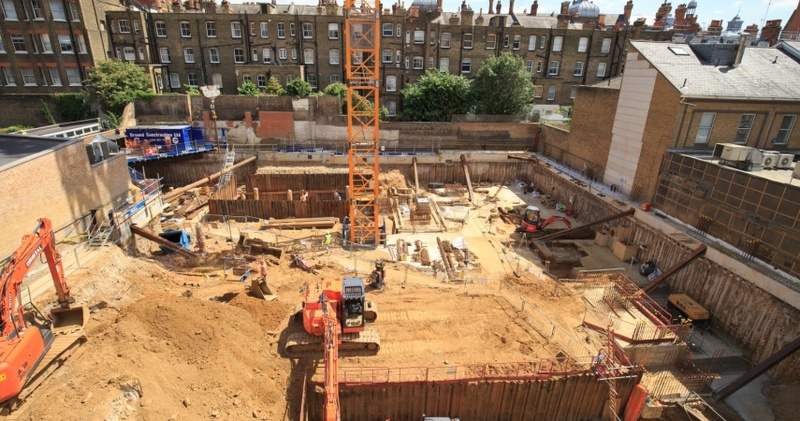 The new development required the basement to be reduced by 3.5m below existing ground level and to 6m adjacent to a busy road. In all over 140lm of 450mm diameter secant walls were installed with piles ranging in length up to 19m. Hard/Hard secant walls were installed using DAWSON-WAM’s Cased CFA System mounted on an ABI TM22 piling rig and were installed extremely close to adjacent structures to achieve vertical tolerances of over 1:100. 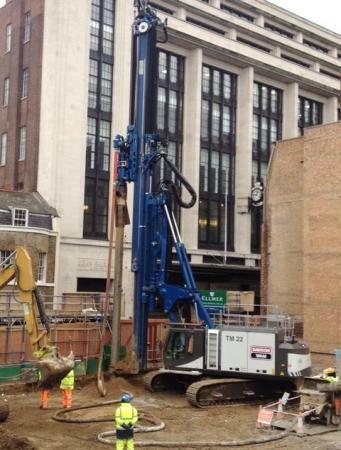 DAWSON-WAM also installed over 240nr CFA load bearing piles of 450mm diameter and to depth of over 20m. CFA piles were installed with the same equipment used to install the secant wall with reinforcement cages pushed to 3m below existing ground level to assist the following trades in breaking down the piles. All piles were integrity tested and 2 static load tests were completed and performed extremely well. Ground conditions were of typical London stratigraphy of made ground above saturated river terraced gravels and stiff London Clay. All existing concrete foundations within the made ground had been removed in advance by others. All the works were completed within very tight site conditions, working alongside other trades and in close proximity to noise and vibration sensitive neighbours.